All across campus last week, students walked past the larger-than-life images of aspiring student politicians on posters half-falling off buildings and — let’s face it — shrugged their shoulders at the UVSS elections. 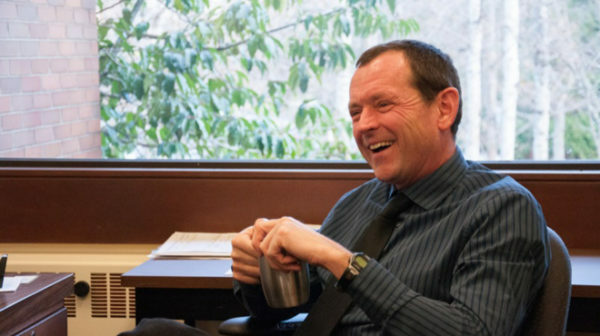 Meanwhile, UVic President Jamie Cassels leans back in what we can only imagine is a comfortable, ergonomic office chair, rests his feet on his mahogany desk, takes a puff from his hypothetical tobacco pipe, and laughs. Okay, so maybe we’re exaggerating. But why’s he laughing? Because it’s in the university’s best interest for you to not care about student politics. It’s in the university’s best interest for you to not know what the UVSS does. Or the UVic Board of Governors. Or the UVic Senate. And it’s certainly in the university’s best interest for you to not read the Martlet. The longer students fail to pay attention to the fact that UVic is a powerful institution that makes decisions that directly affect their everyday lives, the longer the university can continue to make whatever decisions they want — often to the benefit of some, and at the expense of many. A politically-disengaged student body means that there are very few groups and individuals holding the university accountable. Recently — let’s face it — the UVSS hasn’t exactly been consistent in holding UVic accountable and advocating on behalf of students. Just last week, they attempted to lobby UVic into taking a stance in support of Unist’ot’en, but stood down after one unsuccessful meeting. This enables the university to do pretty much whatever it wants — invest in fossil fuel companies, hike international student tuition, welcome large corporations to a previously non-corporate campus — with relatively little consultation or pushback. If students were politically active, then they might begin to puzzle over some things: Why does Jamie Cassels make upwards of $355 000 per year? 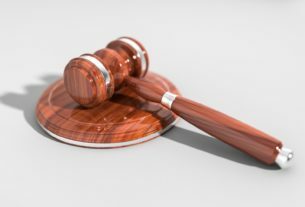 It’s no coincidence that the student representatives that will sit on the UVic Board of Governors and UVic Senate starting in May (both separate entities from the UVSS) all ran unopposed. UVic barely advertised that these positions were available, and they certainly don’t enforce students’ attendance at these meetings — in spite of explicit policy that says otherwise. In fact, student engagement with the Senate is so low, there are 11 vacant positions remaining for the upcoming year, even though Board of Governors and Senate meetings are some of the few forums where students can consult directly with university executives. If students were politically active, then they might begin to puzzle over some things: Why does Jamie Cassels make upwards of $355 000 per year? Why did UVic spend $168 000 in just one year to improve its international rankings (and continue funding this project despite actually dropping in those rankings)? Why doesn’t UVic consult with the Native Students Union in spite of their so-called commitment to reconciliation? How can UVic call itself a climate leader when it’s invested $39.72 million in fossil fuel companies? But why bother asking those questions when we’re all too busy stressing over paying for our rent, tuition, and textbooks while balancing one or more part-time or full-time jobs? It’s just a “wacky time in life,” as dear B.C. Liberal MLA Andrew Wilkinson would say. Wait — do we mean the same B.C. Liberals who once had Ida Chong, now a representative on the UVic Board of Governors, as part of their caucus? “Get to the point,” you exclaim, exasperated with our unnecessarily long tangents and difficult-to-decipher hinting. Our point is: pay attention. Vote. 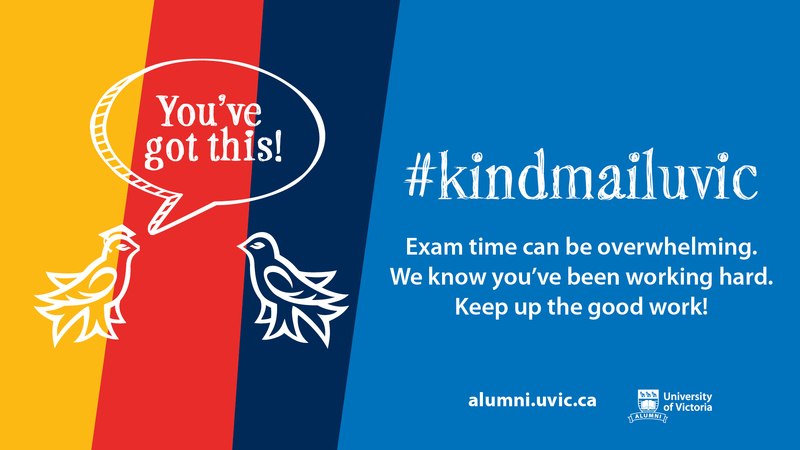 Make sure your elected representatives are doing their best to hold UVic accountable. And if you can, please consider running for the UVic Senate. A university is an incredibly powerful institution, managing a huge amount of money — including some of yours. The fact that UVic students don’t care about university politics is extremely useful for a few powerful individuals — but it’s probably not in your best interest. In the meantime, we can hear Jamie Cassels’ laughter echoing far beyond the concrete walls of the Michael Williams Building. This article was updated on March 12 at 11:28 a.m.